Open Book Programme is Live! The full programme of events has been announced for the seventh Open Book Festival. The Festival takes place from 6 to 10 September, and this year there are more than 140 exciting events to choose from. Brought to you by the Book Lounge and The Fugard Theatre, venues also include the A4 Arts Foundation, District Six Homecoming Centre, Central Library, Elsie’s River Library, Kuyasa Library, and PH Centre. The Festival presents a world-class selection of panel discussions, workshops, readings, performances and more, designed to inspire, stimulate and entertain audiences, featuring more than one hundred local and international authors. “We are proud to be announcing our biggest Festival yet, and we thank everyone who supported our Thundafund campaign, which has, in part, enabled us to compile this year’s extensive programme,” says Festival Director Mervyn Sloman. Key to the success of the festival has been collaborations with partners and 2017 is no different. There is a series of four events focusing on access to land curated by PLAAS and audiences can look forward to a similar segment of programming themed around cities curated by the African Centre for Cities. In addition to the strong political content the festival has become known for, there are multiple opportunities to engage with your favourite local writers as well as some exciting voices from around the world. Paul Beatty, the current Man Booker winner will be a highlight for many. A strong selection of writers from other parts of the continent will also be featured – names to look out for include Chibundu Onuzo, Fiston Mwanza Mujila and Ayobami Adebayo. There are several books that will be launched at the festival, including Bonang Matheba’s From A to B, Pumla Gqola’s, Reflecting Rogue, Glynnis Breytenbach’s Rule of Law, Sizwe Mpofu-Walsh’s Democracy and Delusions, Mark Shaw’s Hitmen for Hire and Prince Mashele’s Fall of the ANC Continues. Following the huge success of #cocreatePOETICA last year, this year’s line-up includes Dutch poets Akwasi, Dean Bowen and Sjaan Flikweert, headline names such as Koleka Putuma, Toni Stuart, Gabeba Baderoon and Jolyn Phillips. . InZync returns to the Open Book stage as does the Open Book Poetry Slam. Lingua Franca Spoken Word Movement is also joining the line-up. There’s plenty of excitement and entertainment for the younger visitors – Central Library will be home to a range of events for children on Saturday the 9thSeptember. Don’t miss ‘Storytime in the Gardens’ on Friday the 8th September, an initiative between Central Library and Open Book which will feature a host of local storytellers. Alex Wheatle, winner of the 2016 Guardian Children’s Fiction Award, will be at the festival doing events at schools, public libraries as well as on the main festival programme. Comics Fest takes place on 9 and 10 September with an array of activities, workshops, discussions and demonstrations for illustrators, designers and comic book lovers. This year seasoned illustrator Andy Mason will be hosting the Monster Battle Draw Off throughout the weekend. “Our partners Leopard’s Leap Wines will again host their fantastic #WordsforWine. Bring a pre-loved or new book to exchange for a glass of Leopard’s Leap wine.Books will be donated the Open Book Library Project and other charities. Check the programme for times. They will also be announcing the winner of their innovative Flash Fiction competition,” adds Sloman. Tickets to events range from R45 to R100. Day Passes (which provide one access ticket to six events per day) are R150 and Festival Passes (5 Day Passes with one ticket access to six events per day) cost R600. There are also a number of free events but tickets must still be booked for these events to secure a place. 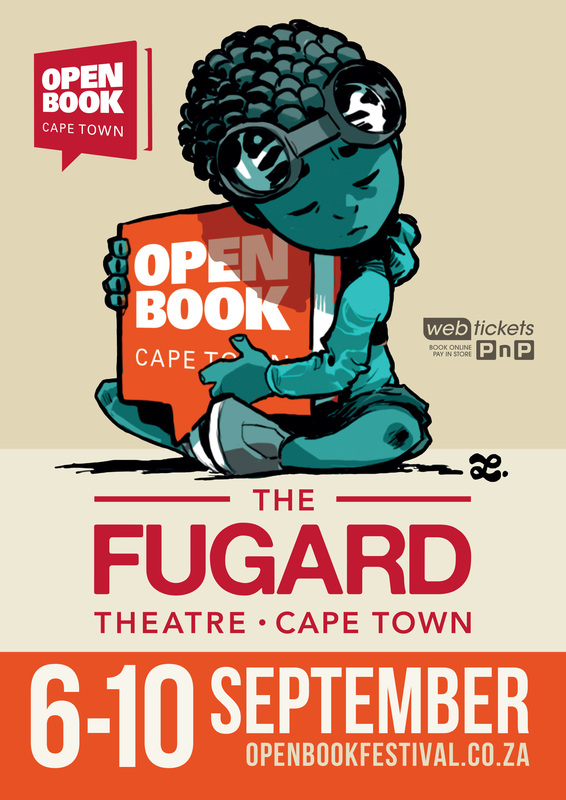 The Open Book Festival is made possible thanks to the support of its sponsors and partners: Leopard’s Leap, The Fugard Theatre, The District Six Museum, Snapplify, Open Society Foundation, Kingdom of the Netherlands, City of Cape Town, Townhouse Hotel, Penguin Random House, NB Publishers, Jonathan Ball Publishers, Pan Macmillan Publishers, The French Institute of South Africa, The Canada Council for the Arts, African Centre for Cities, PLAAS, NORLA, the Embassy of Finland, the Embassy of Sweden, Dutch Foundation for Literature, PEN SA, the Confucius Institute and the Goethe-Institut. ‹ The Keiskamma Guernicas – (re)making experiences of HIV/AIDS in the Eastern Cape. 3 short films from ‘Guernica Remakings’ (3).